Chelsea and Tottenham Hotspur dominate the PFA Team of the Year 2017 released earlier today morning (April 20, 2017). The team features four players each from Chelsea and Spurs (currently first and second in the league table at the time of writing), with Liverpool, Everton and Manchester United contributing one player each. There are no Arsenal (no Alexis) or Man City players in the Team of the Year. No place for Zlatan Ibrahimovic, Azpi or Toby Alderweireld either. 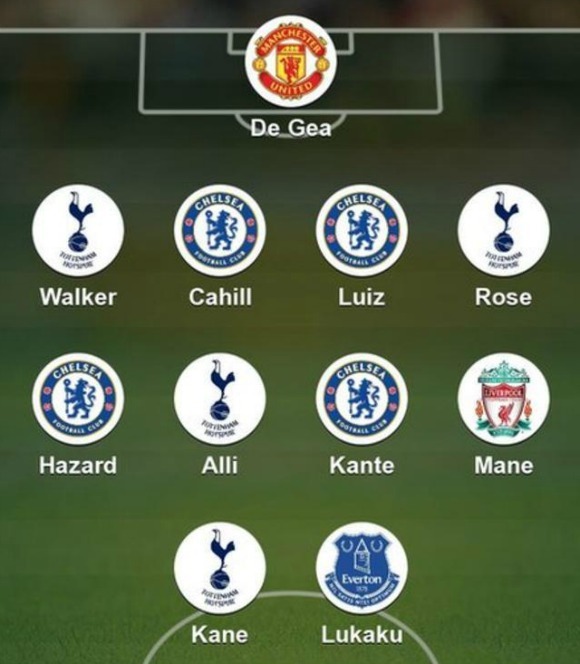 Players who made it to the 2016 PFA Team of the Year and also named this season- N’Golo Kante, Danny Rose, Harry Kane, Dele Alli, David De Gea. Leicester City had four representatives in the 2016 team, but none this year.